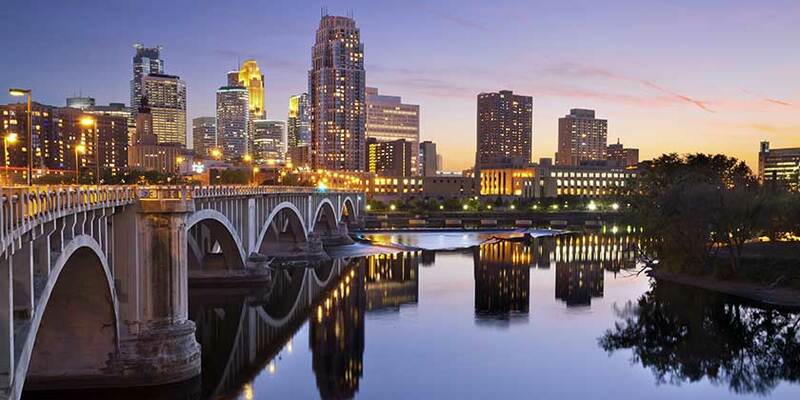 Known as the Midwest’s cultural capital, Minneapolis is home to world-class art and theater, stunning architecture, and beautiful green spaces. Named one of the healthiest cities in the U.S. by Forbes, Minneapolis is perfect for bicycling, walking, and playing in one of the area’s 929 lakes. Here, a cosmopolitan city combines with a love of nature and the outdoors. And with high-end shopping, a variety of museums, amusement parks, and much more, there’s enough here to entertain any family or couple year after year.